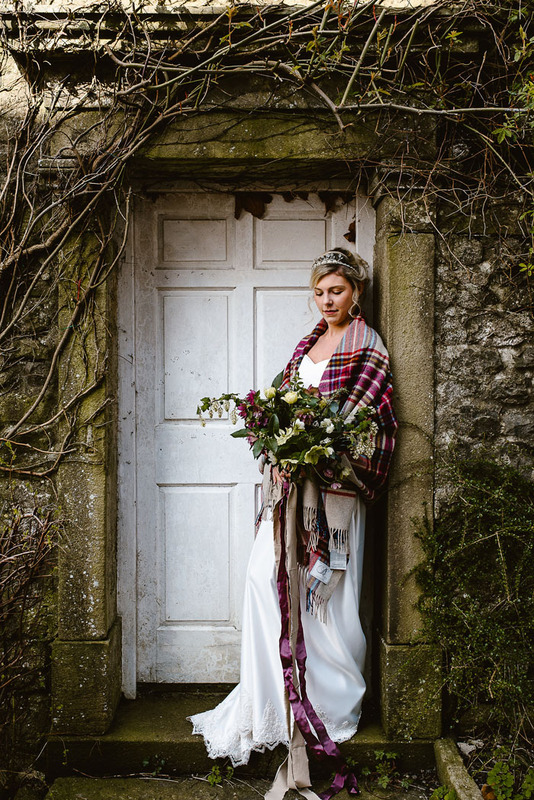 Susan Dobson from The Yorkshire Dales Flower Company shares the concept behind this rustic shoot, fulfilled by a host of Yorkshire wedding businesses and featuring charming country garden details. 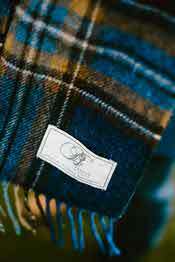 Our plan for the shoot was to communicate a strong sense of Yorkshire identity. 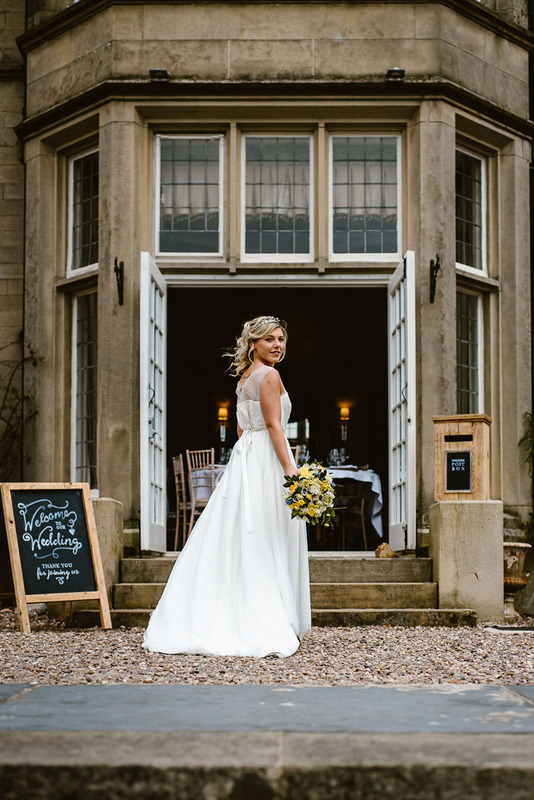 The county is a dream wedding destination, full of amazing rural landscapes, stunning venues and outstanding wedding suppliers. 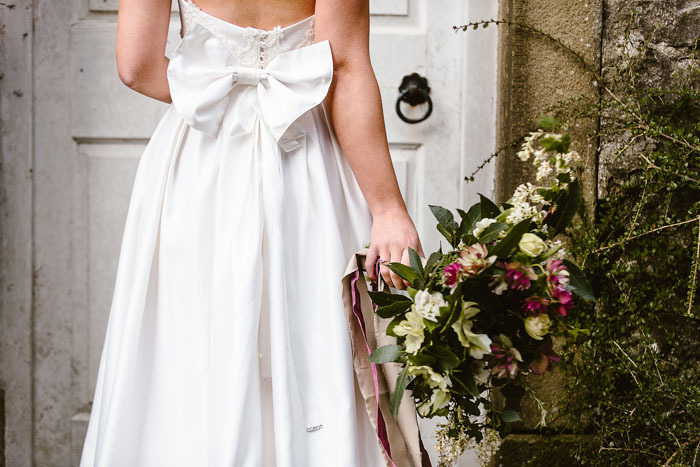 We were keen to encapsulate these elements for an inspirational photo-shoot to showcase what Yorkshire has to offer brides and grooms. 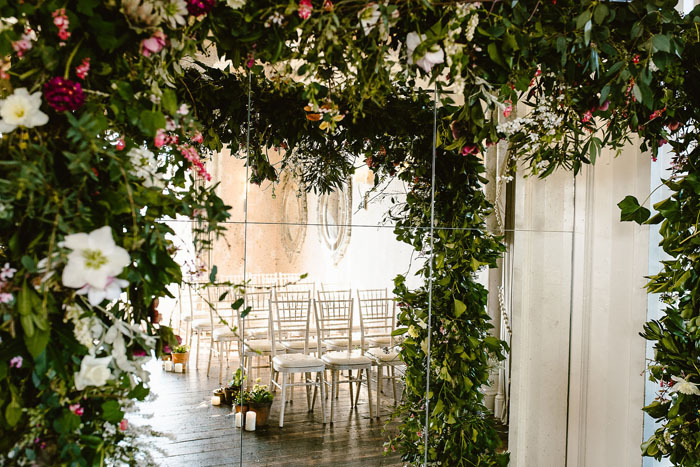 Tell us a little bit about the venue and why it was chosen. 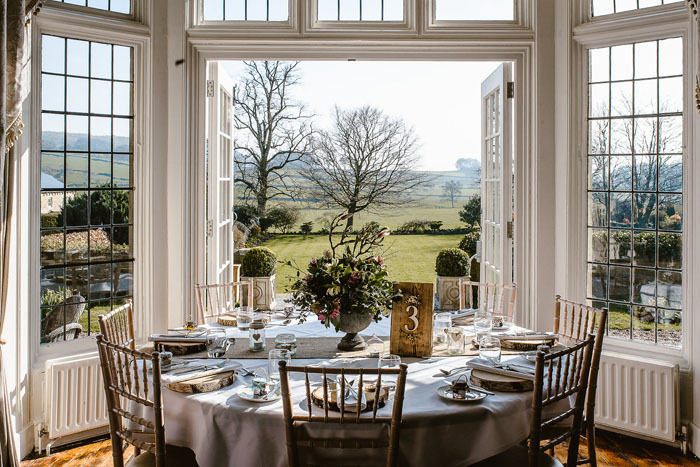 We picked one of the most beautiful wedding venues in North Yorkshire, Falcon Manor at Settle to set the mood for the shoot. 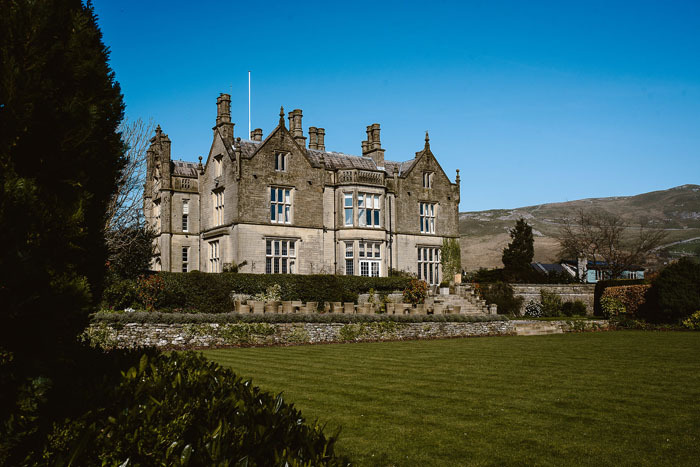 Originally a gentleman’s residence, Falcon Manor is now a country house hotel and a perfect wedding venue. 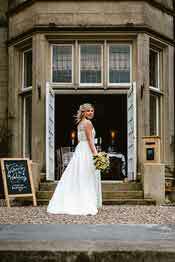 Fully restored, it is glamorous and stylish with contemporary twists. 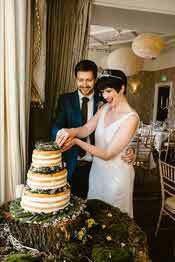 We used the beautiful function room, the beautiful gardens with the Yorkshire Dales as a backdrop, and the honeymoon suite, known as the Rafters Room. I used flowers and foliage grown in my garden at Bradley, near Skipton, along with flowers from fellow Yorkshire growers. I wanted my floral designs to reflect their provenance from cottage gardens and even used plants in old terracotta pots for the ceremony aisle to portray the ambience of a country garden. 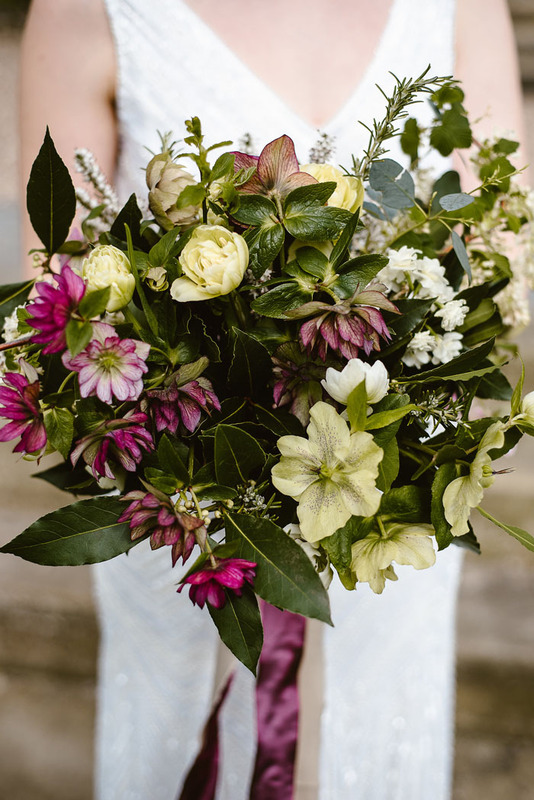 Though it was early in the year, there was plenty of colour and variety. 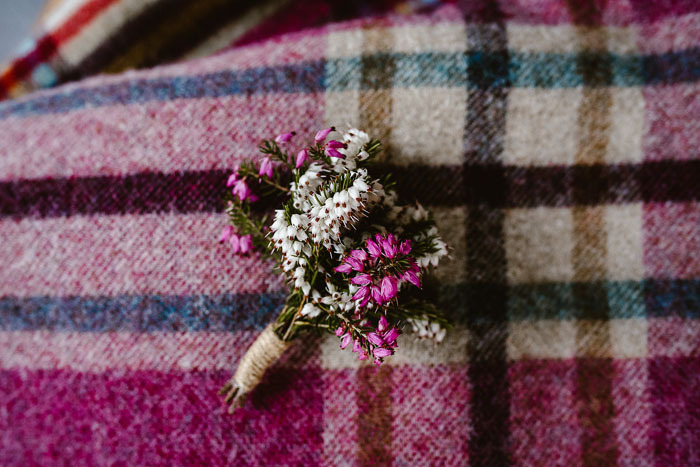 My style is natural and rustic, yet with close attention to detail, and I love using flowers from my own garden when they are in season. 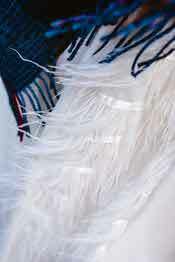 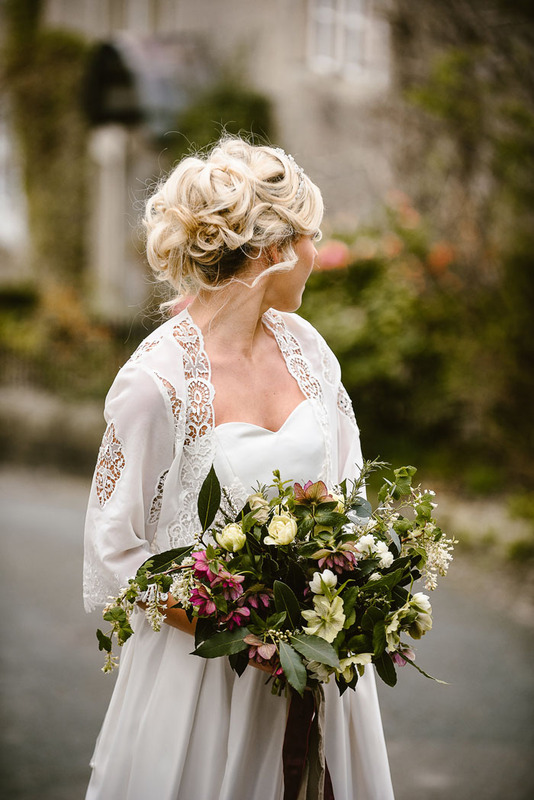 What kind of look did you want to achieve with the make-up, hair and outfits for the bride and groom? 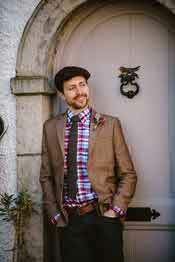 In-keeping with the rural Yorkshire theme, male model, Jan Paulke, was dressed by Abraham Moon Ltd; the last woollen mill in England to take in raw wool and handle the whole production process to finished cloth - the garments provided by their outlet at The Courtyard at Settle. 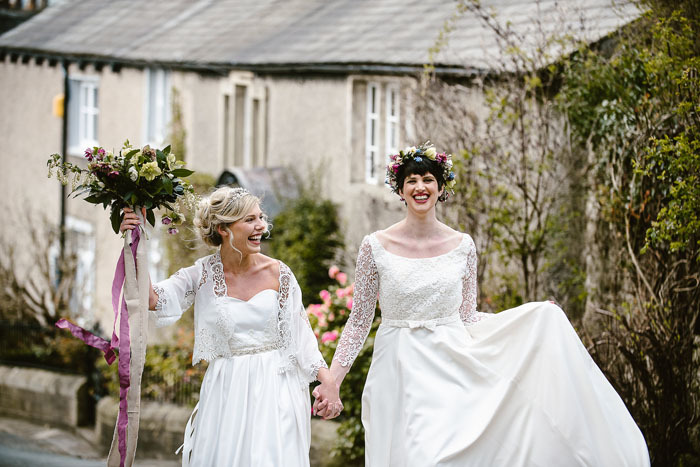 The bridal gowns and accessories worn by models, Katie Louise Holmes and Sarah Lewis-Paulke (and also Jan’s wife), were provided by The Bridal Emporium, Leeds, where in-house designer, Claire Amelia, offers a made-to-measure-service, designing and hand-making wedding dresses. 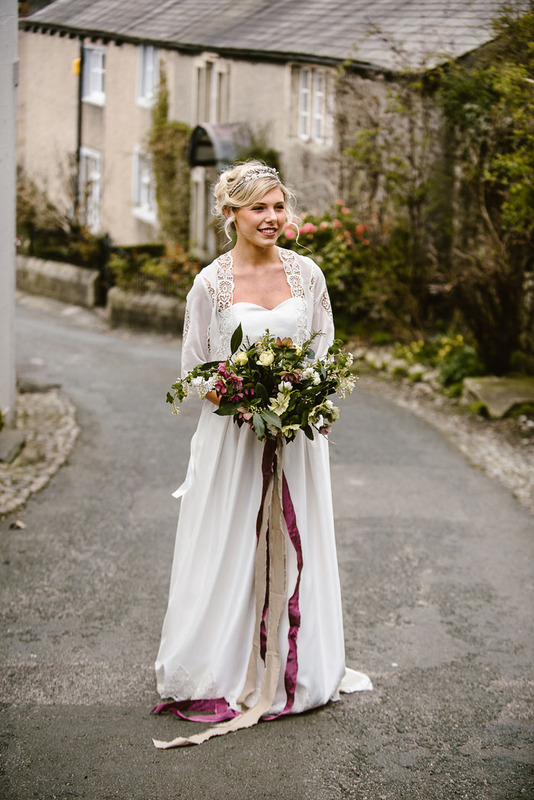 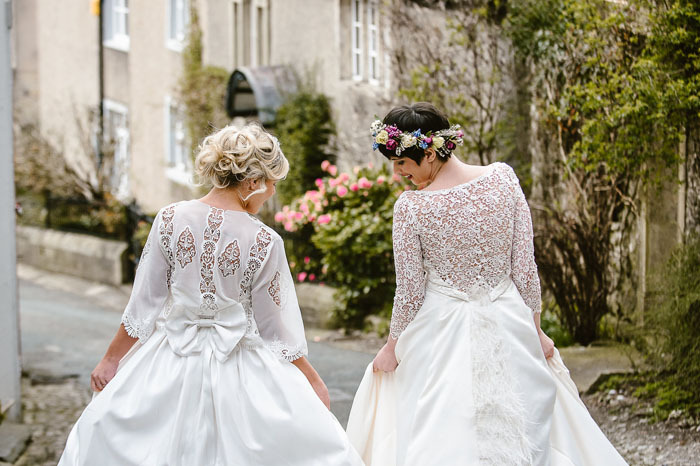 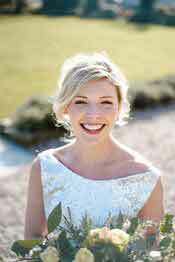 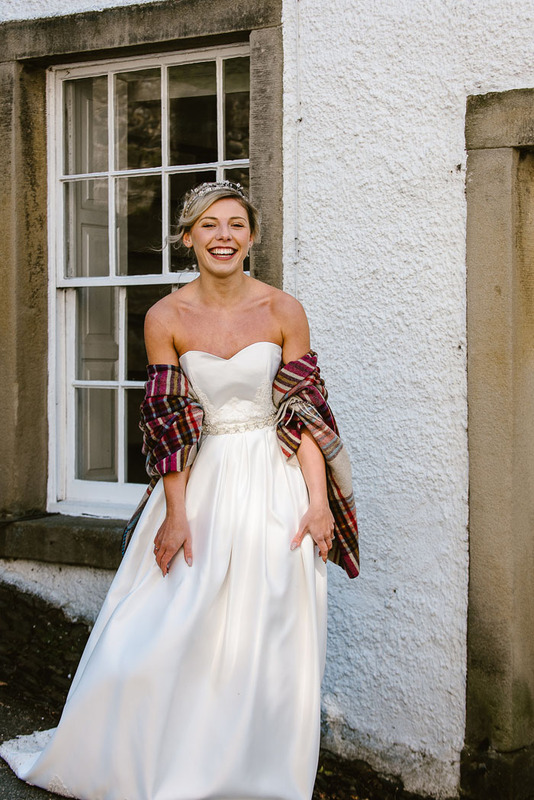 Val Preston of Truly Essential – Holistic & Beauty Therapist, provided subtle, natural bridal make-up to complement the work of hairstylist, Emily Taylor, from La Bella Hair Salon in Skipton. 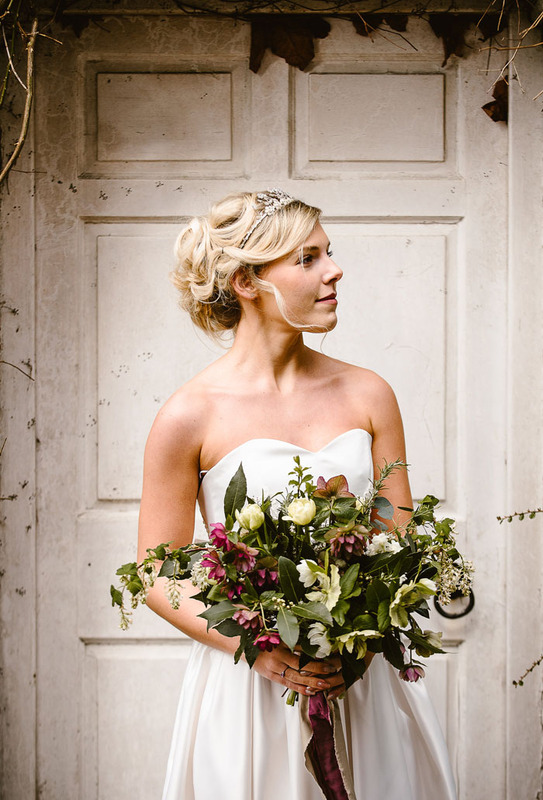 It was decided that the shoot would celebrate Yorkshire’s glorious countryside and the wonderful wedding suppliers and products that are to be found here. 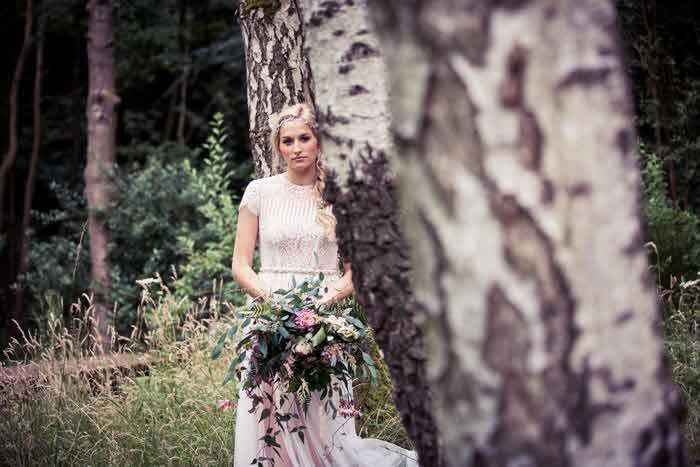 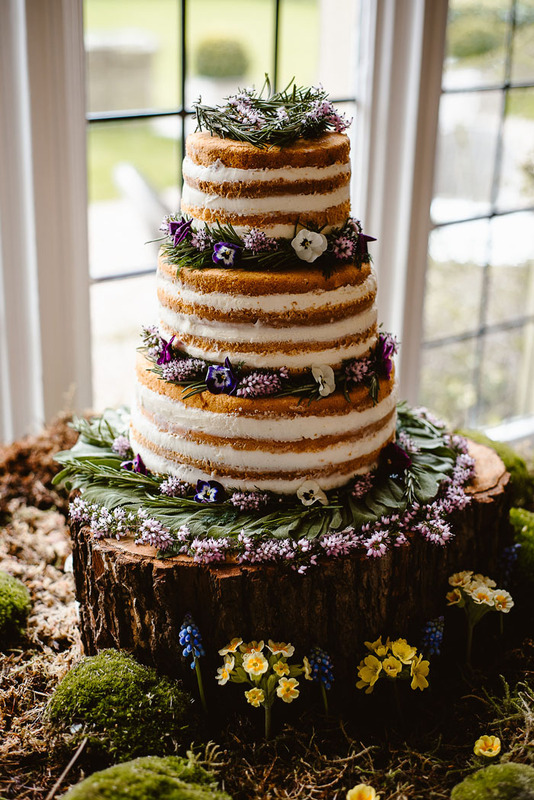 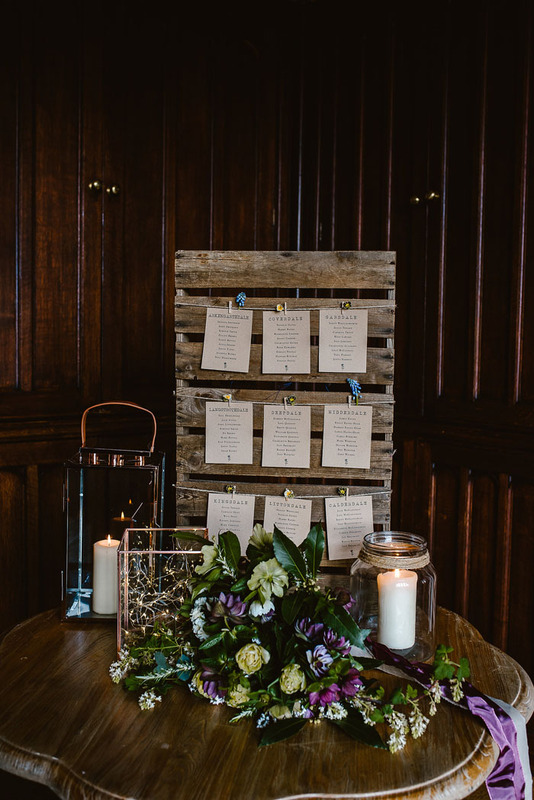 The shoot had a rustic feel, from Suzanne Oddy’s stationery and wooden signage and Hazel Smith’s naked cake to florals grown and arranged in Yorkshire and beautiful garments supplied by Abraham Moon; the shoot décor seamlessly melded together. 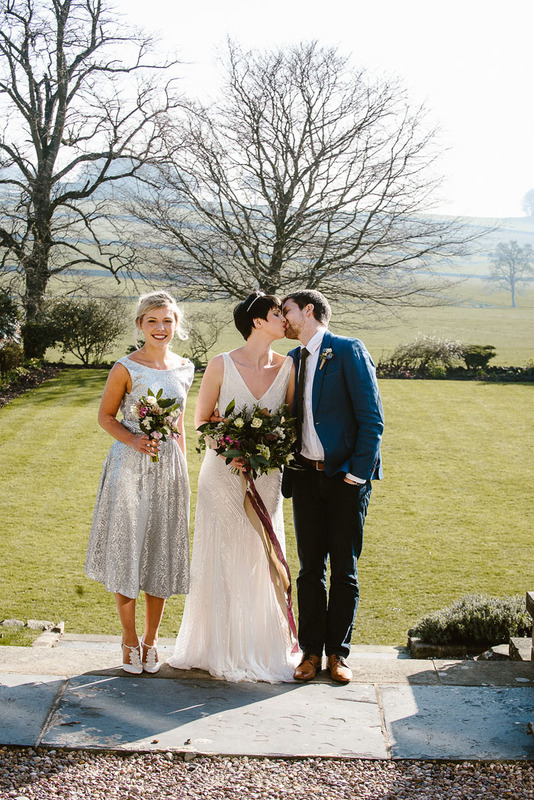 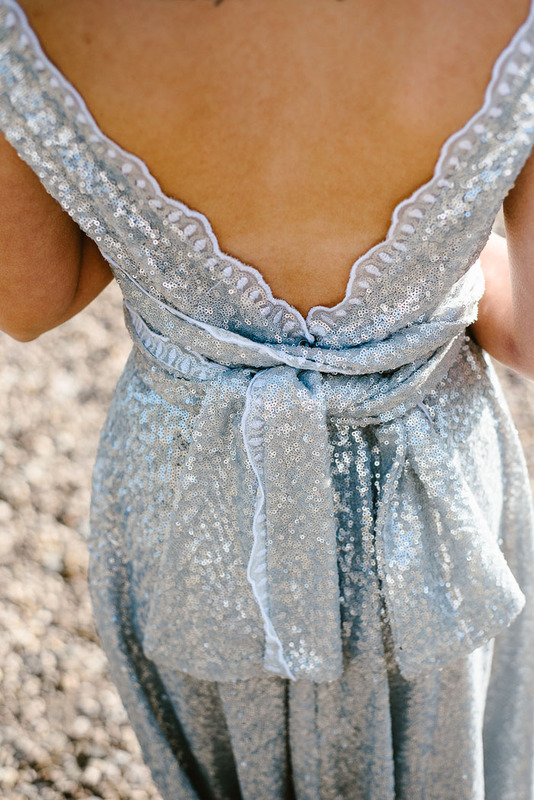 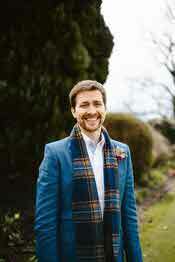 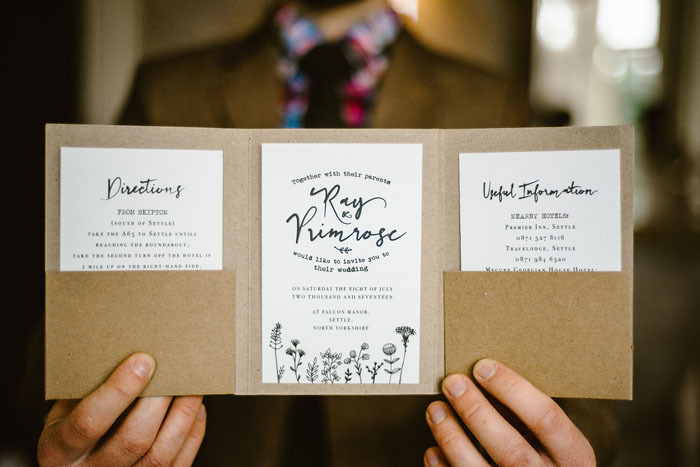 Having Georgie Brewster Beck of Georgina Brewster Photography to bring all the elements together meant that the essence of what Yorkshire has to offer as a wedding venue was brought to life. 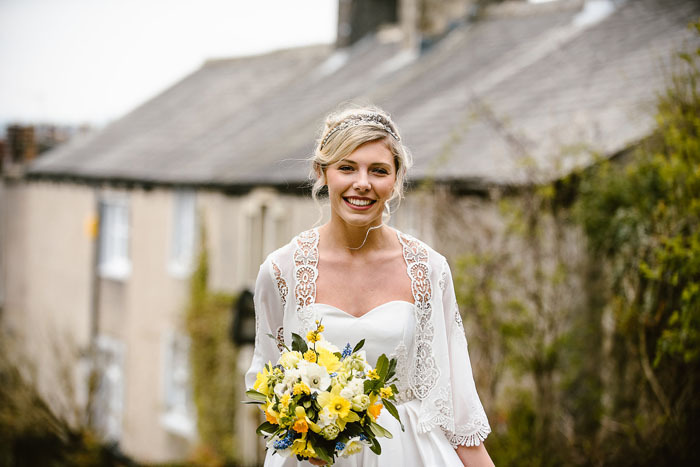 A lover of the great outdoors, wedding photographer Georgie photographed both outside and in at The Falcon Manor, while taking in views of the wider Yorkshire Dales landscape. 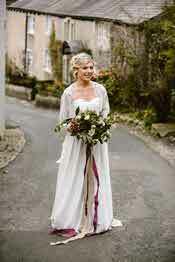 She also took the models into Settle to photograph among the quintessential Yorkshire cottages. 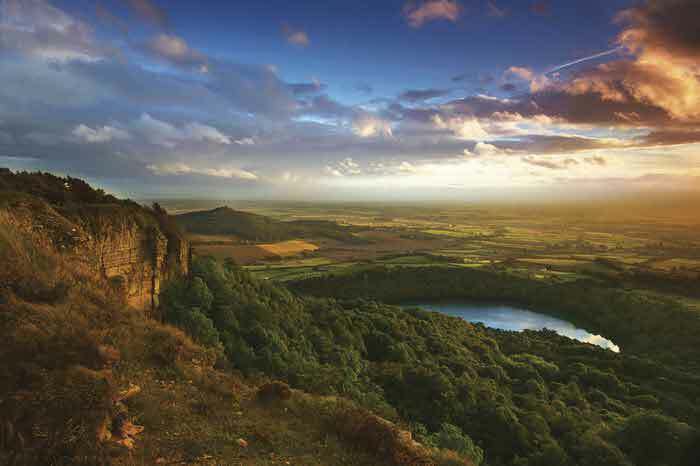 Georgie absolutely caught on camera the essence of what is available in stunning Yorkshire. 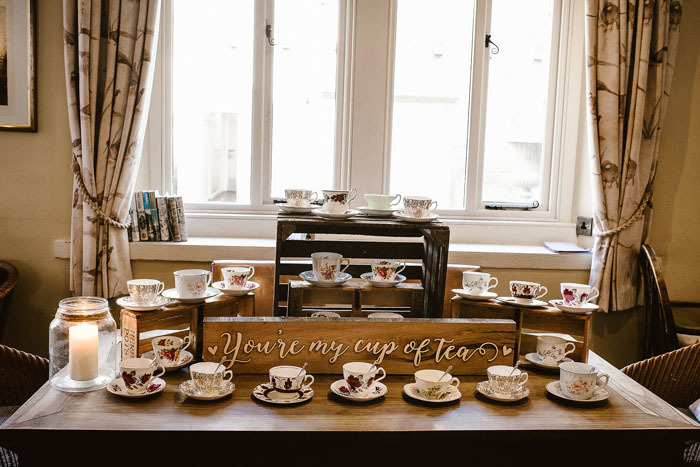 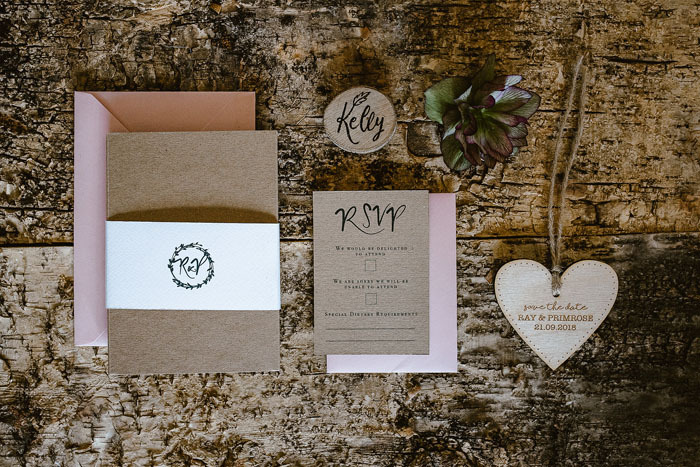 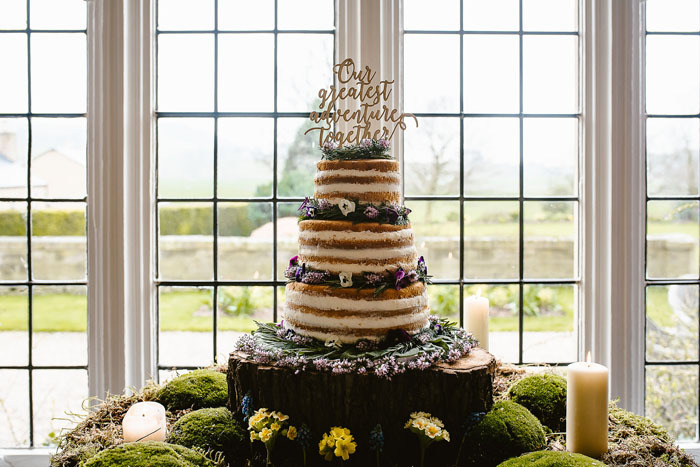 The finishing touches to the natural Yorkshire rustic theme were provided by Suzanne Oddy from Keighley, featuring unique stationery, handmade wooden items and laser cut wooden designs including a beautiful cake topper. 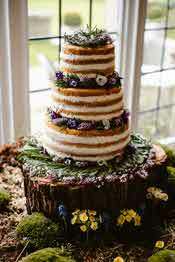 The magnificent naked cake was provided by Hazel of White Lace Cakery, also from Bradley near Skipton. 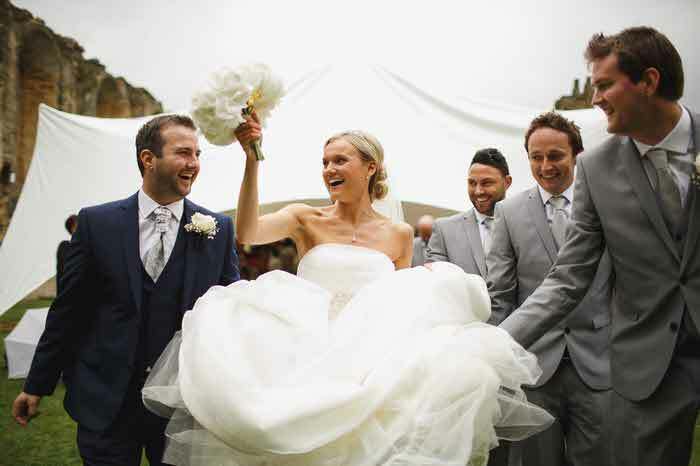 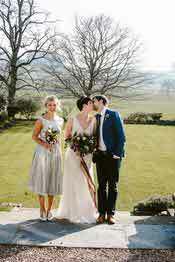 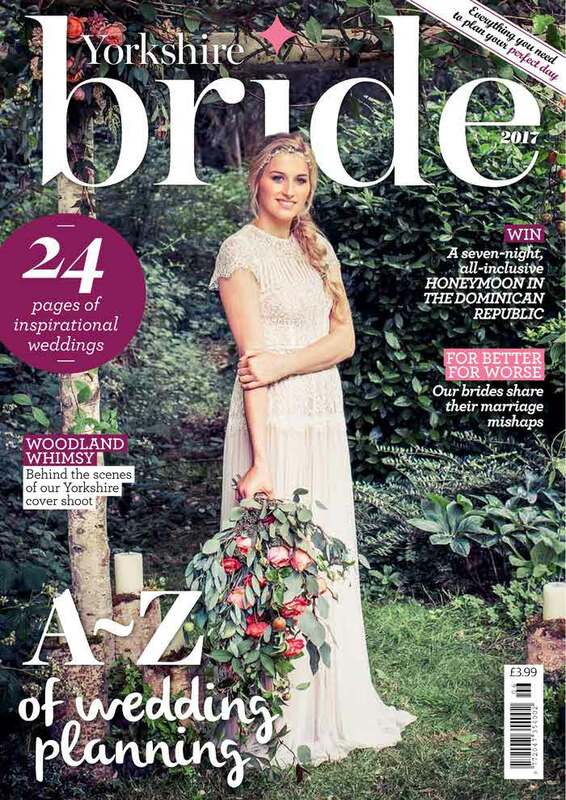 For more Yorkshire wedding inspiration, pick up the latest issue of Yorkshire Bride magazine.